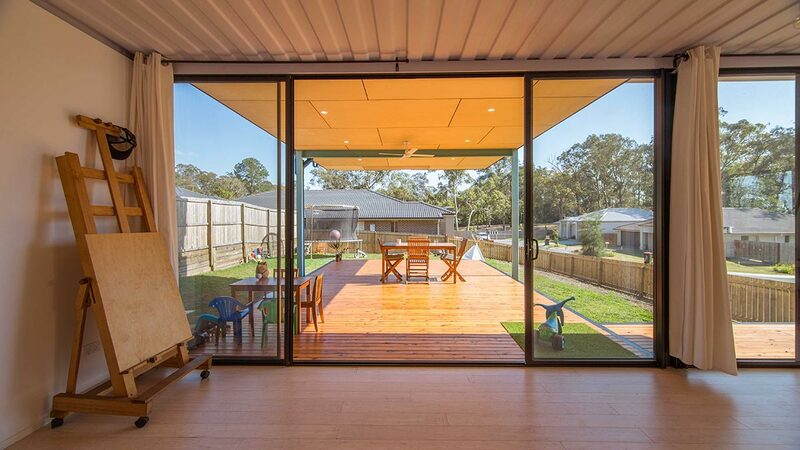 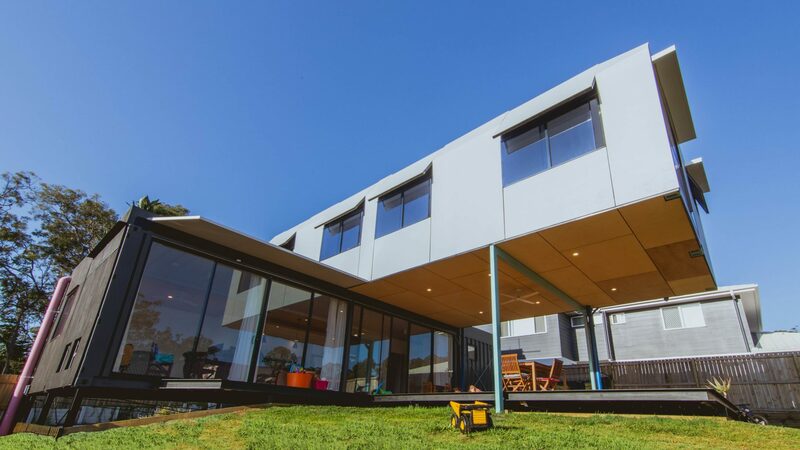 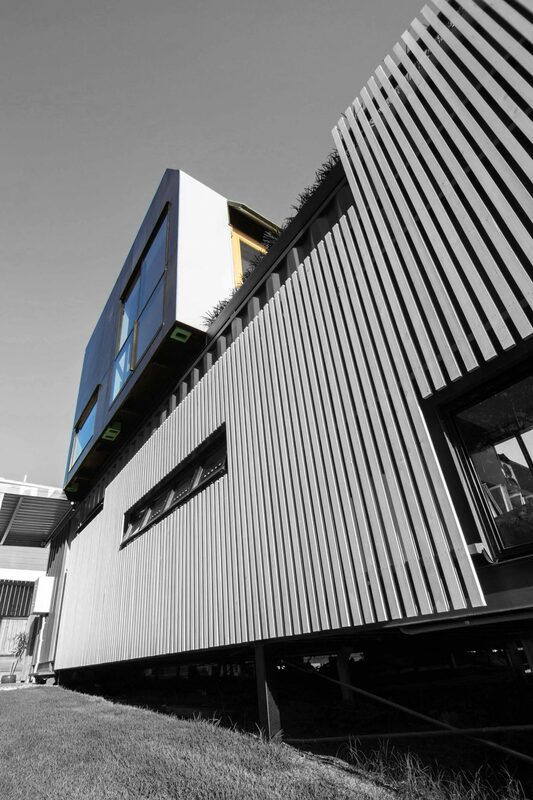 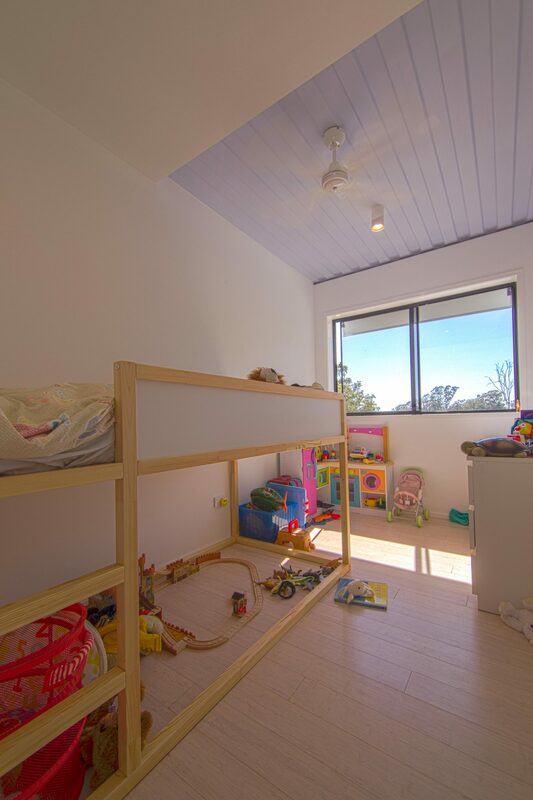 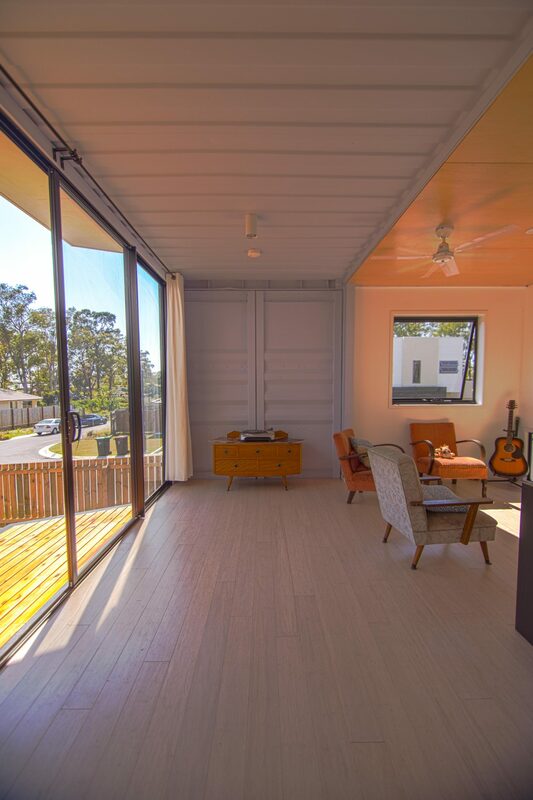 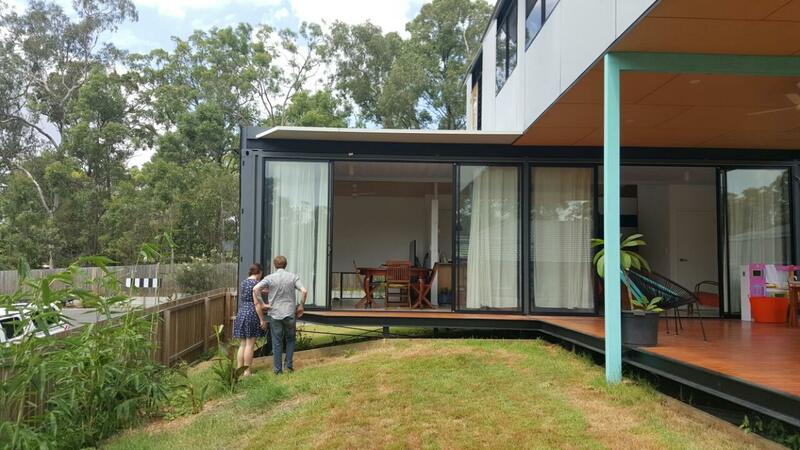 This is our fully prefabricated, modular Pop Blocks house – It uses 4 x 40ft shipping containers, to achieve a 3-bedroom family home with study, 2 bathrooms, large entertainment deck, upper level balcony and roof garden. 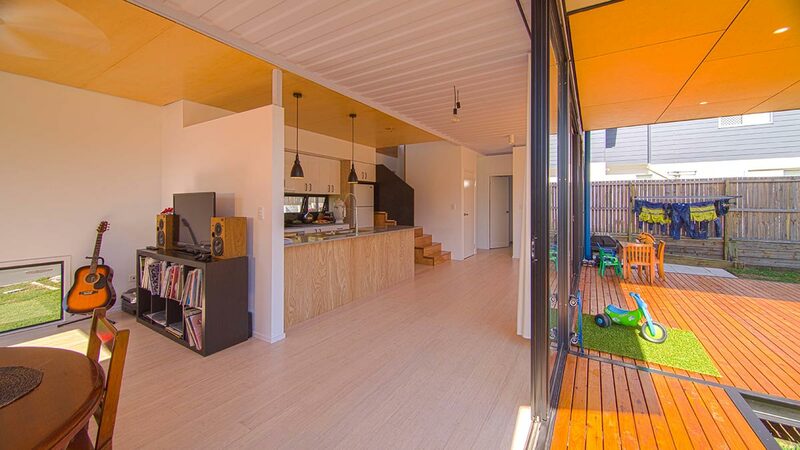 It has floor to ceiling glass throughout, natural timber veneer internal walls and ceilings, and solid bamboo floors. 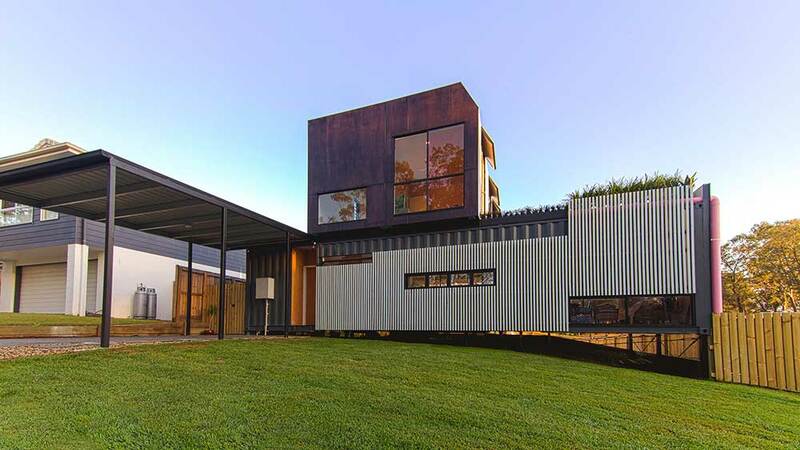 In this project we have clad the containers to a large extent, but are interested in peeling away these layers to reveal the structural form and true nature of the project.